Multi Gadget Insurance - Who Offers the Best Deal? We’ve discussed Gadget Insurance a few times on this blog but we’ve yet to look at which gadget insurance provider offers the best deal on multi gadget insurance, so this is what we’ll be looking at in this post. As the amount of gadgets in the average household continues to grow, so does the number of people searching for multi gadget insurance. With this in mind, let’s take a look at three of the biggest gadget insurance providers to see who comes out on top in this area. Protect Your Bubble are probably the most well-known gadget insurer, so let’s start with them. Protect Your Bubble’s Multi Gadget Insurance cover – named on the site as Household Gadget Insurance* – is currently priced at £12.99 per month and covers 4 or more gadgets. Up to 10 gadgets in total can be added to the policy and there will be an additional charge of £3 per gadget for each gadget added on top of the 4 which are included as standard with the cover. So, if you want to insure 5 gadgets it will cost you £15.99 per month in total, 6 gadgets £18.99 per month and so on. The policy covers theft, liquid damage, cracked screens and more, and it also includes worldwide cover. While loss cover is not included as standard, it can be added to the policy at a cost of £1 per gadget. 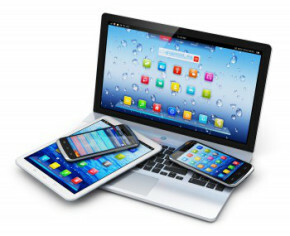 If you want to insure less than 4 gadgets with Protect Your Bubble* then you can get a quote on their site for regular gadget insurance, and you will be offered a discount of 10% when you insure 2 gadgets or 15% when you insure 3 or more. While Gadget-cover.com* don’t offer a specific multi-gadget insurance policy on their website, you can add multiple gadgets on the quote page and get a quote for all of your gadgets on the list. Because of this, whether it will work out to be cheaper to insure multiple gadgets through this company will depend a lot on the number of gadgets you are looking to insure and the value of each of these. If you have 4 or more gadgets to insure then Protect Your Bubble’s Household cover may save you money, but if you have just 2 or 3 to insure then it would certainly be worth your time to get a quote from these guys. Gadget-cover.com offer all of the policy benefits you would expect as standard and similar to Protect Your Bubble, loss cover can be added as an optional extra for £1 per month per gadget. Like Gadget-cover.com, Gadget Buddy* no longer offer specific multi gadget insurance cover. They do offer discounts when insuring multiple gadgets, though, and these range from 5%-15% depending on the number of gadgets you are looking to insure. Of the three gadget insurers we’ve looked at then, only one offers a specific multi gadget policy and this is Protect Your Bubble*. At £12.99 for 4 gadgets it seems like good value, but if you are only insuring two or three gadgets then you might find that getting a quote from the other two gadget insurers on the list could save you a few pounds. January’s Here – Don’t Forget Insurance! Online Estate Agents – Who Offers the Best Deal?